In Hawaii, you can clear criminal charges off of your record under certain conditions. 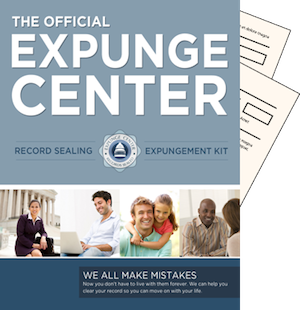 This process, called expungement, can drastically change your life. By knowing the ways a criminal background can affect your life, what requirements need to be met to clear charges, and knowing the process in which to wipe them out, the process should become much clearer. A criminal background can affect your life in many different ways. Employers often do background checks and will not hire individuals with a criminal background. When you try to rent an apartment, a renter may also run a background check and deny you based on past criminal activities. Many licenses also require a clean background, and if you have not cleared it you can and will also be denied. With so many debilitating things that come along with a criminal past, it is important to try to get it cleared if possible. In Hawaii, you can have your background cleared if you were arrested, or you were arrested and subsequently charged, but not convicted of the crime. These non-convictions still show up on your wrap sheet and can affect many aspects of your life. To expunge record in Hawaii you will not be granted if you were arrested for felony or misdemeanor charges while having no conviction because of forfeiting bail. For five years after you are arrested for a petty misdemeanor where the conviction was received because of forfeiting bail, you cannot receive eliminate the record. For one year after a case is dismissed because of deferred acceptance of a plea bargain, an individual may not get that cleared from their background. An acquittal because of mental or physical defects is another reason you can be denied. If you are charged for the first time with a drug conviction you may be eligible if you have completed treatment and probation required by law. Generally other convictions are not available for Hawaii expungement. If you fit the requirements making you eligible, then you will need to follow these steps in order to get the process completed. With one of our kits you will get the documentation you need. You must send an Application for Expungement of Arrest Records and your fee to the Hawaii Criminal Justice Center. There is about 120 day waiting period after the appropriate paperwork and fees have been sent to the correct places. When all is said and done, if it went through successfully, you will get a certificate of completion in the mail. If your request has been denied, the application and the money that you sent along with it, not including the $10 non-refundable fee for processing, will be returned to you. If you happen lose your certificate, you may request a new one by sending a $20 money order or cashier’s check payable to the “State of Hawaii” to the Hawaii Criminal Justice Data Center. Also enclosed should be a photo ID, your full name, previous names, date of birth, social security number, the charges that were cleared, a mailing address, and a day-time phone number. If you or someone you know would like to try to clean their record in Hawaii, this should help you out. By understanding how a criminal background can affect your life, knowing if you are eligible for Hawaii expungement, and understanding the process involved, you should find it easy to know what to do.